DEVIL, DEVIL OUT OF THE HOUSE! 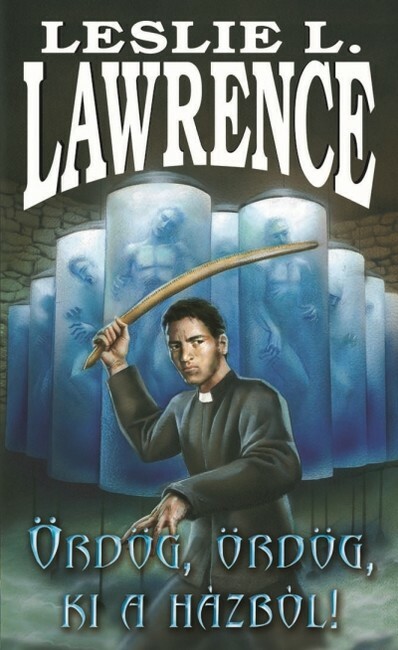 Father Santarcangeli (later friend of LESLIE L. LAWRENCE) was sent to pursue devil from an Irish missionary church. The Father arrive and see chaotic image: a missionary nurse actually possessed by the devil; the garden’s highest tree grow mysterious “fruits”, moreover derelict bog mummies are making mischief in the basement of the mission. The father is sure that the story has begun long years ago, when someone presented thousands of dollars to gaffer KHIEU in the market of PHNOM PENH. The devils are cunning, but they either cannot outwit Santarcangeli: arrive Red-eyed and the exorcism suddenly begin.